Tennis shoes. Sporty. Not something one would always characterize as fashion forward, however times are changing. I personally have always had a pair of 'chucks' in my closet, and grew-up wearing comfy shoes in the summer with cut-offs (hello, slip on Vans! which are back again, yay!). Especially if your day includes even the tiniest amount of physical activity - anyone else knees/ankles start to ache after a day of walking miles in no support? 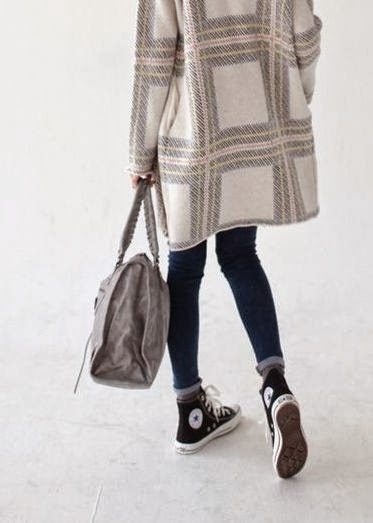 But street style from around the web are starting to show us that we don't necessarily need to wait for warmer weather! I am on board 300%, have been known to wear versions of this all winter long to brunch on Saturday! But of course, who doesn't want options! Lots and lots of options! Whether it's a classic, Van slip-on or New Balance cross trainer circa the 80's, or Nike Air Max's, you can't really go wrong! 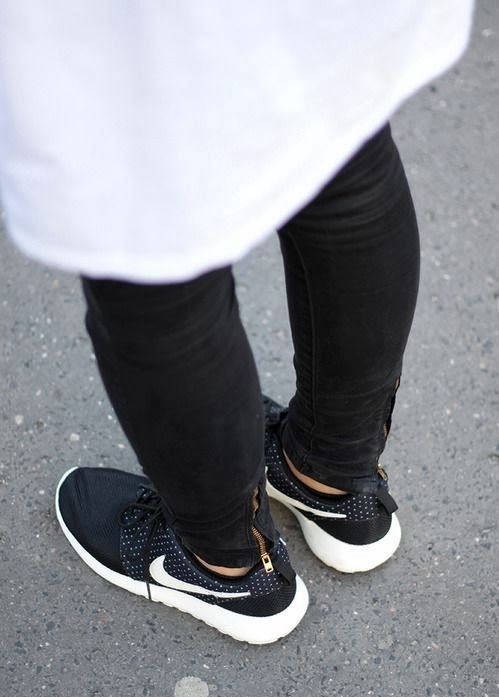 Have you integrated any tennis shoes into your wardrobe lately? Here are some great options! Go grab a pair, or two! I love wearing tennis shoes all the time...it's so much more comfortable :)! I think I might have to get those white slip-on chucks for summer (my jack purcell slip-ons from last year have seen better days), though I'm tempted by these: http://www.saksfifthavenue.com/main/ProductDetail.jsp?PRODUCT%3C%3Eprd_id=845524446635689 but can't decide if the MJ label on the tongue would annoy me. Time to add a new pair into my rotation.